Helmed by a team of enthusiastic and passionate shutterbugs and makeover artists with up to 19 years of experience, the studio is proud to lend its expertise to a range of needs and clientele with a creative direction that emphasises on rapport between the photographer and client for a bespoke photography solution. 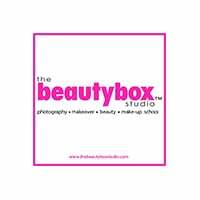 Leveraging on their forte in producing corporate portraits, The Beautybox Studio has also worked with numerous big-name brands such as Citibank, Maybank, Chanel, Cold Storage, The Bodyshop, True Fitness, and more. Other services offered include couple, family, convocation, and artistic shoots, as well as makeover and styling services.